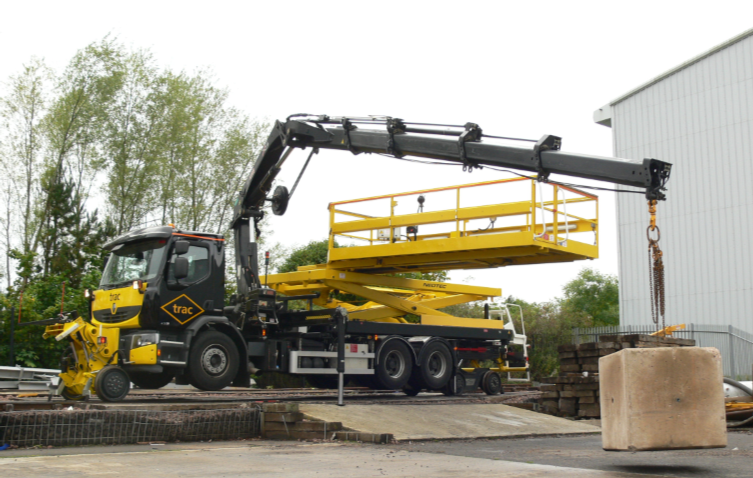 TRAC’s Renault lorry is a versatile piece of plant that allows our clients to select a variety of attachment options dependent on work scope. The Renault is available with a purpose-built gamma platform. The platform has a 550kg capacity, with a working radius of 6m and a height of 6.4m. When not in use the platform can be removed from the lorry allowing the flat bed to be used to transport tools or drum carriers. Lifting operations are carried out using a HIAB XS 288 Crane. The crane is fitted to the rear of the cab, allowing the rear body to be utilised to its full capacity for transporting of goods.